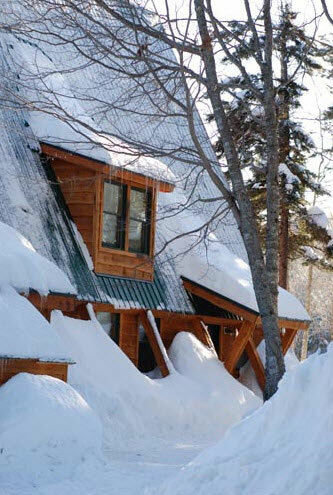 NEOC offers full-service cozy trailside cabins perfect for a winter vacation in Maine. We want your winter adventure and Maine vacation to be the kind you remember for a lifetime. Our resort in the Katahdin Region is located just steps from Maine's best snowmobiling trails, winter activities, local scenery and wildlife. 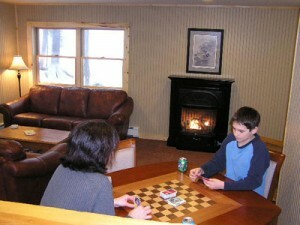 Our location offers cozy lakeside cabin rentals that are perfect for a winter vacation in Maine. 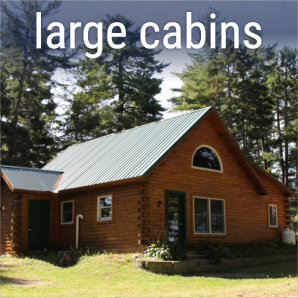 These charming cabins are available in a range of sizes and styles, from log cabins with bunk beds to larger luxury guesthouses for a family vacation in Maine during any season. 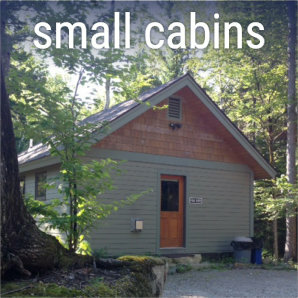 Our small and medium sized cabins sleep 4 to 8 people—they are perfect for small sized groups or families looking for a great winter vacation in Maine. These cozy cabins have all the amenities of home, charming character and feature spectacular views of Millinocket Lake and Katahdin. Select cabins have traditional fireplaces, perfect for warming up after a day in the snow or on the trails. Looking for winter lodging for the entire family? We have two large and four premier cabins. Our large cabins feature private bedrooms, large living rooms, dining rooms and kitchens as well as multiple baths and sleep up to 10 people. 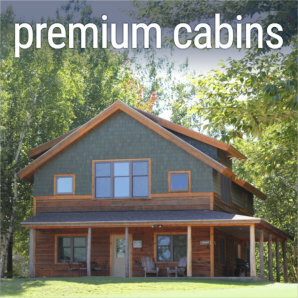 The premier Maine winter cabins can sleep up to as many as 14 people. These Guest Houses are the ideal place to complete your Maine Snowmobiling vacation. Come experience green lodging in Maine! As part of our recent expansion, we have 9 cove-side Lodges on our property Coveside Cabins. These lodges are groundbreaking in both design and construction, and meet the highest standards for certified clean air quality. Each was built to meet Gold level certification standards for LEED®, the Leadership in Energy and Environmental Design program developed by the U.S. Green Building Council. 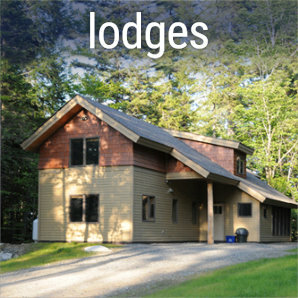 Six of these lodges are 3 bedroom and 3 of them have 2-bedrooms. Each building is perfect for winter lodging in Maine because of all its amenities including gas fireplace, 2-3 private bedrooms, patio, sunroom, living room, kitchen and 1.5-2 private baths. Plus, each driveway has plenty of room for parking your SUV or trailer. They are designed with an appreciation for the environment, but also perfectly located for you to explore it and are the ideal place to complete your Maine Snowmobiling vacation. Each provides easy access to snowmobile trails, hiking, snowshoeing, ice fishing, snowmobiling, cross-country skiing, wildlife viewing and other Maine outdoor winter adventures.